One of the top complaints by adults in the hectic 21st century is that we can’t get enough done. 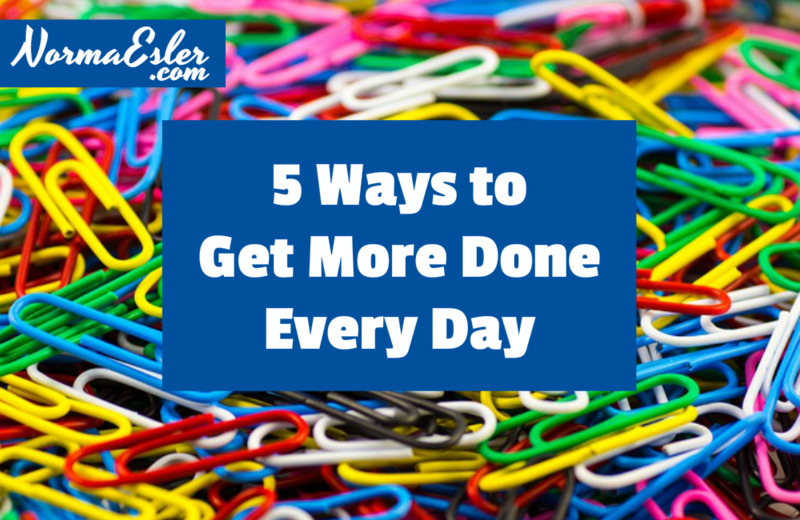 There don’t seem to be enough hours in the day to accomplish everything that is required. This leads to frustration and stress, emotional states which can cause a flood-like release of hormones that cause physical and mental health problems. 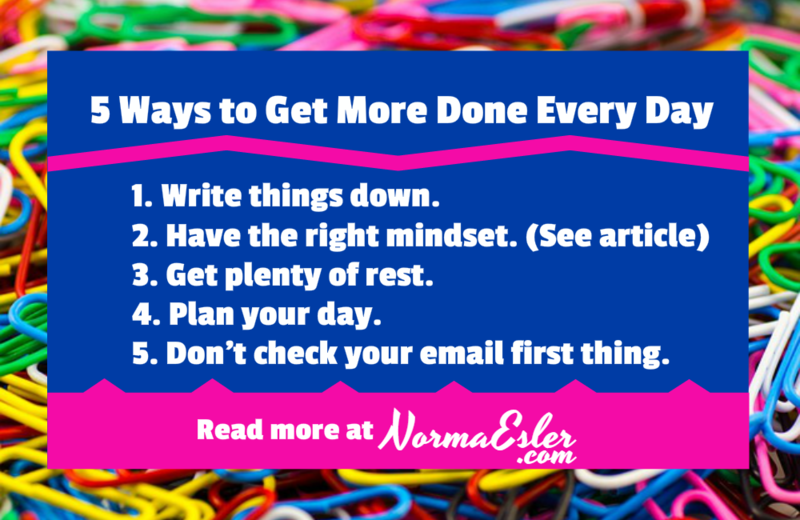 Here are 5 ways to get more done every day, so that you enjoy less stress and anxiety, a well-deserved sense of accomplishment, and better overall health. You have a much greater chance of accomplishing something when you write it down, rather than just locking it away on your mental to-do list. Use My Inspired Year Weekly Planner to track your must-do items and keep the big picture in mind as well. Feel good about your accomplishments! Each one brings you closer to your goal. Fortune 500 CEOs are some of the busiest people on the planet. Studies and interviews with these uber-productive individuals show most of them get up and get working first thing in the morning, and don’t check their email until after lunch. You don’t have to own a Fortune 500 company to benefit from this productivity hack.